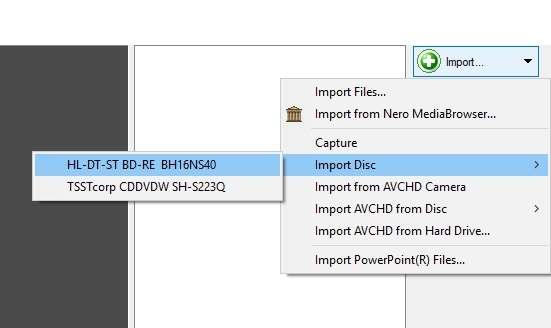 How can I burn an MP3 Disc or Jukebox Disc in Nero Express? 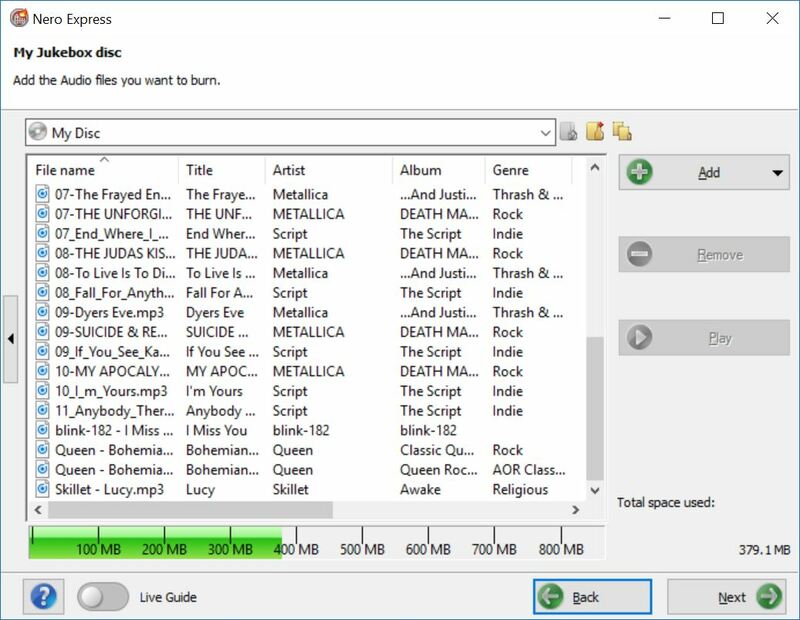 Nero Express provides many options for you to burn your MP3 files and other music files to disc. You can burn MP3-CDs, MP3-DVDs, and even MP3-Blu-ray Discs. 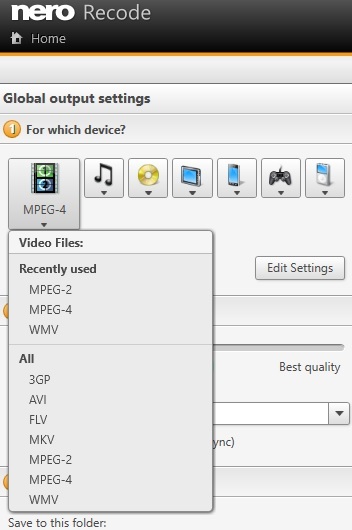 Given your devices support this, you can have hours of music stored on your disc to play back comfortably with devices like your car stereo, standalone DVD player, or Blu-ray Disc player. 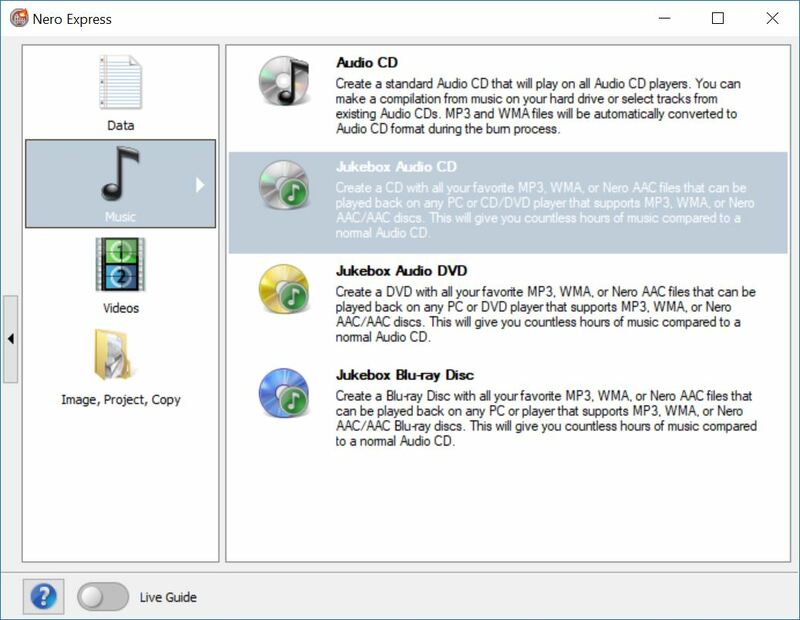 What’s even better: you can have mixed format CDs, DVDs, and Blu-ray Discs combining different typical audio formats like MP3, AAC, and WMA. 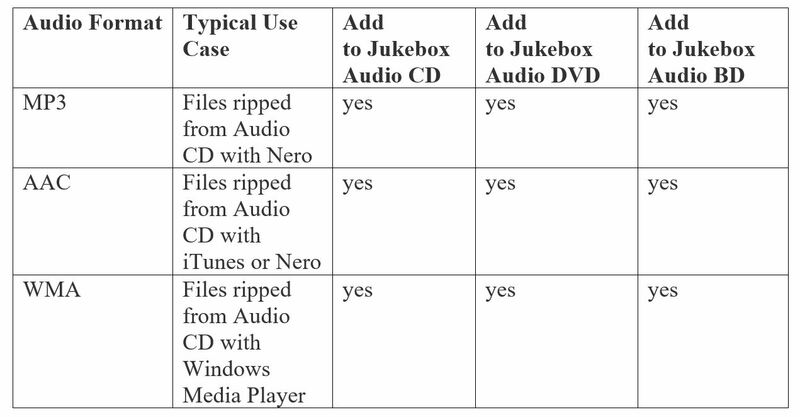 Nero calls this Jukebox Audio Disc and below table shows an overview. In Nero Express you can create such discs comfortably by clicking on of the Jukebox Disc buttons for CD, DVD, or Blu-ray Disc. Let us take the example of a Jukebox Audio CD. 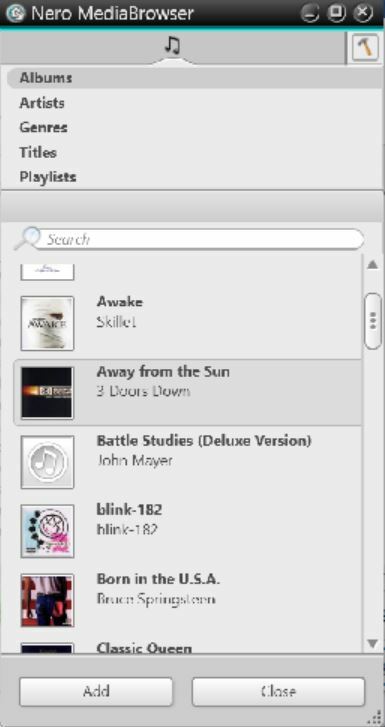 Klick on ‘Music’ in the left pane and then ‘Jukebox Audio CD’. 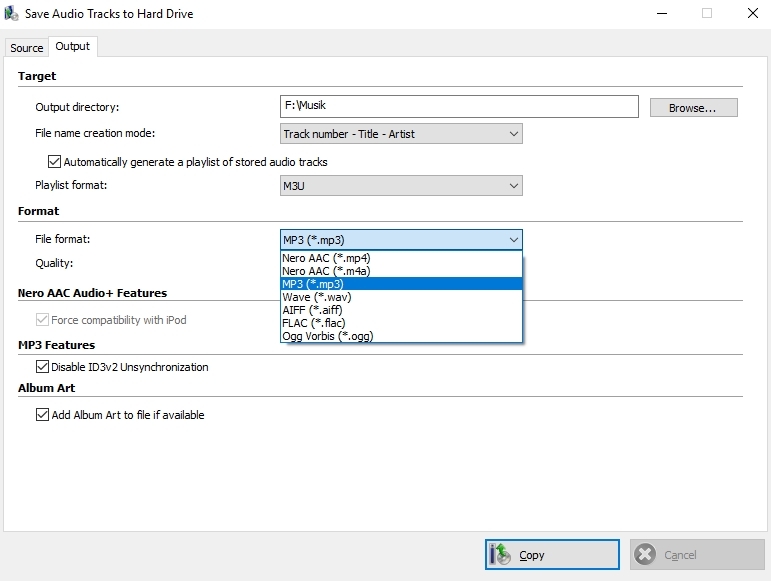 Add your music files by clicking the ‘Add’ button. You can do this by using Windows Explorer via clicking on ‘Files…’. However, the much more comfortable way of doing this here, is clicking on ‘Nero MediaBrowser’, which shows your albums and album files with cover art. Nero applications include state of the art Gracenote® Music Technology, providing album title, genre, album covers, and more within your files. When you have added all files to your track list click ‘Next’, select your recorder, type in a name for your disc, and press ‘Burn’. It will take a few minutes for your disc to burn depending on the speed of your drive. You will be notified when the burn process is completed. If your original files were ripped or edited with Nero applications, your Jukebox Disc will have album information and album art included in the music files. This way it is extremely comfortable to navigate and search for titles.